After fourteen months on the road following the death of Jacqueline and Selena, Neil would meet photographer Carrie Nuttall and marry her a year afterward. A year after that, the members of Rush would re-unite to begin writing and recording material for their next record. Deciding to ease Neil gently back into the routine of a touring and recording musician, the band began sessions with no set deadline or direction to go in. 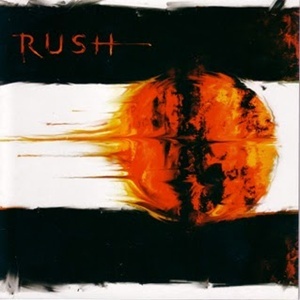 “Vapor Trails” would be released in 2002, but a lot had changed in the five years since Rush had put out their last record, not just with themselves but in the music industry at large. The band had been moving away from keyboards even before their hiatus, and made the decision early on to forego them completely on this record. Rush was also throwing their hat into the ring amidst the boom of Nu-Metal, Rap Rock, and later the Garage Rock Revival with bands like The White Stripes and The Strokes. Synthesizers and guitar solos were sharing time with turntables and stripped down song-writing. Since Rush had been out of the game for so long, would they be able to find their place again? Production on “Vapor Trails” would be especially long, and the song-writing process would be unlike anything Rush had done before. Riffs and progressions would be recorded into Pro-Tools, cut up, re-arranged, and worked into proper songs. This method led to massive amounts of clipping though, with the band feeling the harsh digital distortion squashed the dynamics of their performances. Naturally, a remastering has long been in the works. The harsh production contributes heavily to the jittery, manic feel of the album. Neil wouldn’t just be writing about his own tragedies, but the state of the world after the World Trade Center attacks. Rush was trying to find who they were again, and were trying to do so in a world already uncertain with itself. “Ceiling Unlimited” is a good example of Alex’s general guitar tone throughout the record: no longer is it either the fat riffs of old, or the bright jangle of the Synth Era. Instead, what he’s gone for is more of a mix of the two, with riffs being more textural and eclectic. Geddy and Neil sound limber on this track and all throughout the record, propelling the songs but still applying a delicate touch. “Ghost Rider” is, fittingly, the most haunting song on the record, talking directly about Neil’s tragedies and his travels. Even without keyboards, the tone is dissonant, like the opening of a Wild West film. Geddy’s gentle bass takes center stage, singing about “Packing up all those phantoms” and “Shouldering that invisible load”. The rhythm on this one is more consistently mid-tempo, as is perhaps fitting given the subject matter. Neil had to address his previous issues in his lyrics sooner or later, and I give him and the others credit for hitting the right note with this one. If “Ghost Rider” is the most haunting song on “Vapor Trails”, then “Peaceable Kingdom” is perhaps the heaviest. Bearing in mind Alex was attempting to mimic parts the keyboards would typically play with his guitar on this record, the reverb drenched opening is a very interesting feat, and the riffs pack a whallop during the beginning. During his motorcycle trip, Neil had an intense moment during a Tarot reading that helped give him a vision of his life after he stopped riding, so Tarot is referenced often in the lyrics on “Vapor Trails”. In this instance: “Justice against the hanged man/Knight of Wands against the hour/Swords against the kingdom/Time against the tower”. Anti-war protest songs are a dime a dozen, but the image Rush creates while sincere is no less intense. They realize if true peace is to come about, it will no doubt come at a price. To me, “The Stars Look Down” feels like another song where Neil contemplates his place in the universe, reflecting his lack of faith and direction that he wrote about in the “Ghost Rider” novel. During his trip, he’d look to the heavens, ask “What is the meaning of this?” (the loss of Jackie and Selena), but in the end all that would happen was “The Stars Look Down”. Which is worse: there being a cosmic plan behind Jackie and Selena’s deaths, or that there was none at all? After foregoing acoustics for a long time, Rush brought them back in a big way on this record, stretching their folk influences for perhaps…man, “Fly By Night”? That far back? Electrics make themselves known on the verses, but the acoustic parts (particularly the beautiful opening) are my favorite parts on this track. I feel like the lyrics are a bit of a response to the topics addressed in “The Stars Look Down”, and go back to Neil’s humanist view of life. It’s cloudy now, but there’s faith that tomorrow will be brighter. While on his trip, Neil enhanced the imagery of the “Ghost Rider” by saying that late at night, a motorcycle would go by so fast the motion almost couldn’t be processed by the human eye, like “a Vapor Trail”. Here, the imagery of a vapor trail takes on a different meaning. It represents the constant pain and sadness slowly fading away, like ice melting into the ether or grains of sand dripping down in an hourglass. While the sadness of his loss will probably never truly go away, Neil is no longer paralyzed or “frozen” by his grief. The second half of the album really picks up for me with “Secret Touch”, my personal favorite track from the album. The song had a long shelf-life in set lists after “Vapor Trails” was released, and I can see why. It seems to be the best realization of what Rush was going for with this album, with the smooth verses and balls-to-the-wall choruses. With one of the most memorable riffs on the record, it’s a lot of fun and you can tell the band is energized while playing it. Things continue to pick up with “Earthshine”, and while the main riff isn’t the tightest on the record (that goes to “Secret Touch”), it’s definitely the fattest. The jangles before the chorus add great texture, and while the solo is low in the mix, it’s quite soaring and ethereal. Even the swirly bits during the chorus add a lot of dimension. Another personal favorite of mine from this record. “Ceiling Unlimited” had the heaviest riffs, “Earthshine” had the fattest riffs”, now “Sweet Miracle” opens with the fastest riffs before going into the tender acoustic verses. Neil talks again about “raging against the starless night”. In this instance though, the “miracle” isn’t something fantastic like “walking on water”. It was something simple, like Neil deciding to return to his life. “Nocturne” is Neil’s time to shine on this record, pounding out of the gate with a tight, heavy tom rhythm. Alex’s playing is some of his most creative, making what I call “rhythmic buzzing” sounds on the verses. The lyrical subject of dreams is quite simple (dreams) but it helps with the ethereal tone of the song. Another favorite. “Freeze” has perhaps the most skittish tone on the record, with Geddy’s bass remaining limber and Alex’s guitar buzzing with wild paranoia. I don’t know if Neil intended this to be the fourth part of the “Fear” series when he wrote it, but on reflection it makes sense. The previous chapters talked about (respectively) fear of a situation, fear being used against us, and how fear can possess the ignorant. “Freeze” is more of an addendum or a general summation of the previous three chapters: in the end, you can either stand up to your fear, or run away from it. “Out Of The Cradle” has more “skittish” playing, but it’s more bright and joyful than the paranoid playing on “Freeze”. After deciding to stop running from his fear and face it head on, Neil is obvious writing about the return of his muse, and how he’s able to write lyrics and play drums again. While I definitely wouldn’t call “Vapor Trails” a concept album, it definitely has a strong theme and arc of returning to life after experiencing tragedy. After all that’s happened, Rush coming “out of the cradle, endlessly rocking” is all we wanted to hear. I won’t lie: “Vapor Trails” was a hard record for me to write about. While Neil’s lyrics are some of his strongest and there are individual tracks I really enjoy, the overall package isn’t exactly what I feel it could have been. It’s clear Rush wasn’t sure what to do next and threw any idea they had out into the ether. Because of fan criticism of the mix, it’s clear some cohesion got lost along the way. It’s a good record, but future releases like “Snakes & Arrows” and “Clockwork Angels” would show a much firmer hand in both songwriting and production. Still, make no mistake when I say that “Vapor Trails” is a good record, and the worst criticism I can give of it is that it gets better from here. MY RATING? Good, but not great.